The Global Citizen Festival event held at the FNB Stadium in Johannesburg, South Africa on Sunday was marred by ugly scenes of wanton violence as gangs of juveniles and stabbed and robbed people leaving the stadium after the event. The event, an uplifting and inspirational initiative predominantly aimed at ending violence and abuse against women, and the eradication of poverty; ended with Beyonce inside the stadium and sadly mayhem outside of it. According to witnesses, the attacks happened in the vicinity of a Sasol fuel station situated close to the stadium in Soweto, in the early hours of Monday morning. We contemplate on whether security at the Global Citizen festival was over-engineered and aimed at a ‘steel ring’ of access control with little thought or strategy given to the safety of patrons once the event had vended. Did we not learn from the Manchester Arena attack in the UK last year? That night terrorists struck, on Sunday criminals caused terror to happy spectators trying to get home. Did the police and security operation fail in addressing the safe exit of festival-goers? Why did the plan fall over? What should happen to now? Who should have been responsible for securing safe egress from the stadium to peoples’ transport home?How do authorities address and prevent this from happening again? What were the shortfalls in the police / security planning and more importantly implementation? 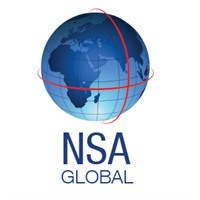 NSA Global Security Consultants is exceptionally well-respected internationally for providing high-level consultancy, planning and security services for many of the world’s largest events. These include major sports tournaments, political events and conventions, awards ceremonies and entertainment events in all parts of the world.